Founded by Late Mr. Amrut Mody, Unichem Laboratories Ltd. is one of India’s most respected pharmaceutical companies committed to deliver better health through superior products. Backed by a highly capable and motivated team of nearly 2400 people, Unichem is headquartered in Mumbai, India, and has six drug manufacturing locations across the country. 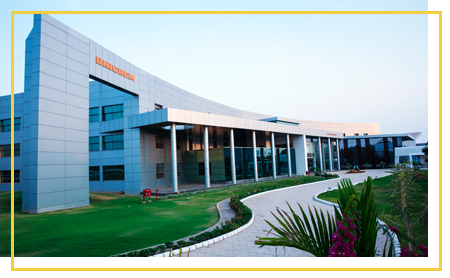 In keeping with its commitment to benchmark quality standards, several of the company’s facilities have been accredited by reputed international organisations such as the US FDA, UK MHRA, ANVISA (Brazil), COFEPRIS (Mexico), PMDA (Japan), EUGMP, EDQM (Europe), WHO (Geneva) and TGA (Australia). *Logos used for representation purpose only .Trademarks and logos are owned by their respective authorities. The Company has taken several important strides in the critical area of Research and Development (R&D). It has expanded its R&D facility in Goa to spearhead research in Novel Drug Delivery Systems (NDDS) and chemically synthesize non-infringing routes for the manufacture of medical products directed at regulated markets. In its effort to drive innovation, Unichem has established a proprietary formulation development centre in Goa to focus on the development of generic formulations comprising Immediate Release as well as NDDS and ANDAs exclusively for the US market. The facility has also been equipped to handle the development of formulations for New Chemical Entities (NCEs). Further, the company has also established a Biotech facility at Goa to invent, design, develop and commercialise Biotech and Biosimilar products. With a robust business model, seamless processes and innovative research, Unichem is positioned to take on challenges of the future while remaining firmly rooted in a solid foundation of values. Inspired by values, driven by vision.